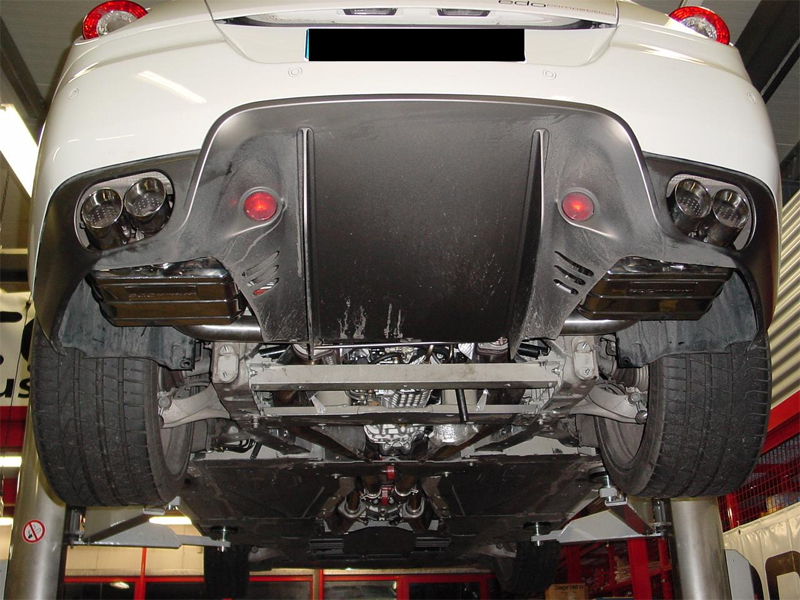 A state of the art design for a perfect fit to your Ferrari 599. 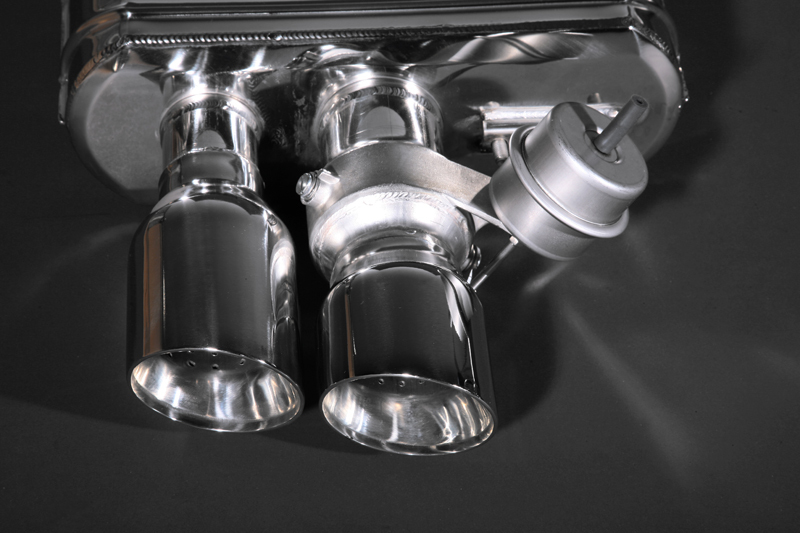 This system will enhance the 599 engine;s V12 sound. 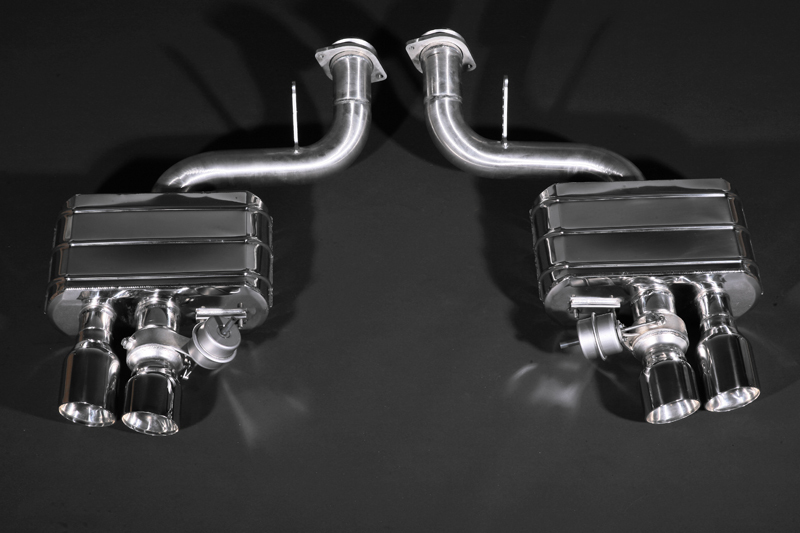 You will experience the power an additional 34 horsepower provieds and extreme sound due to a more efficient flow through the exhaust system. 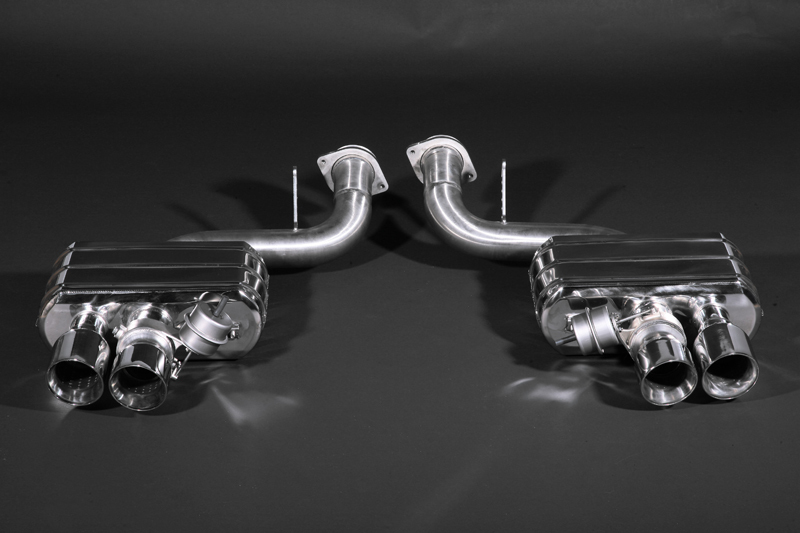 Two test pipes are included with this system to replace the restrictive catalytic converters. 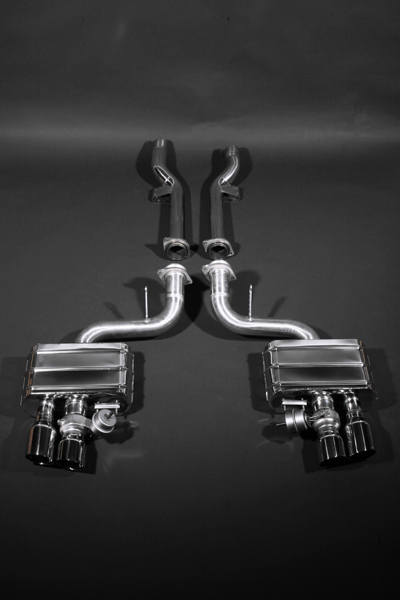 This exhaust system can be installed directly into the existing mounting points. 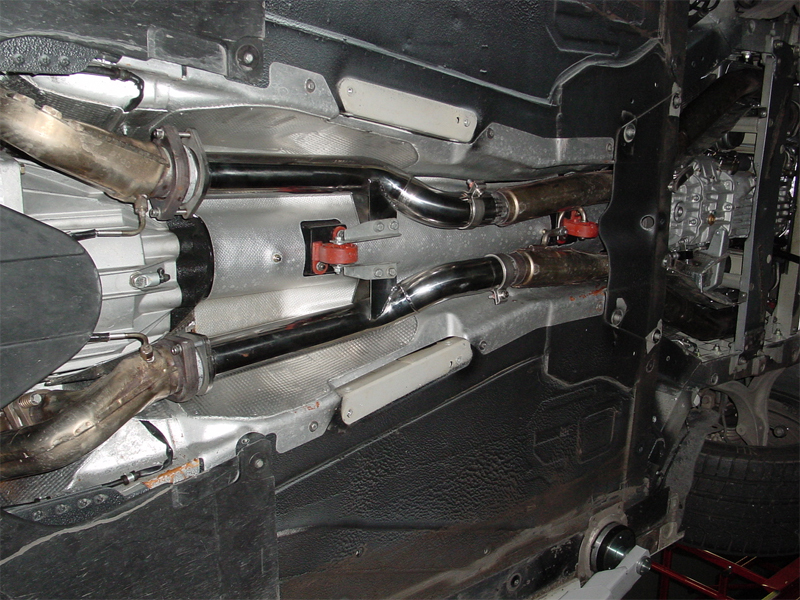 The original vacuum pipes fit directly into the Capristo valve system. 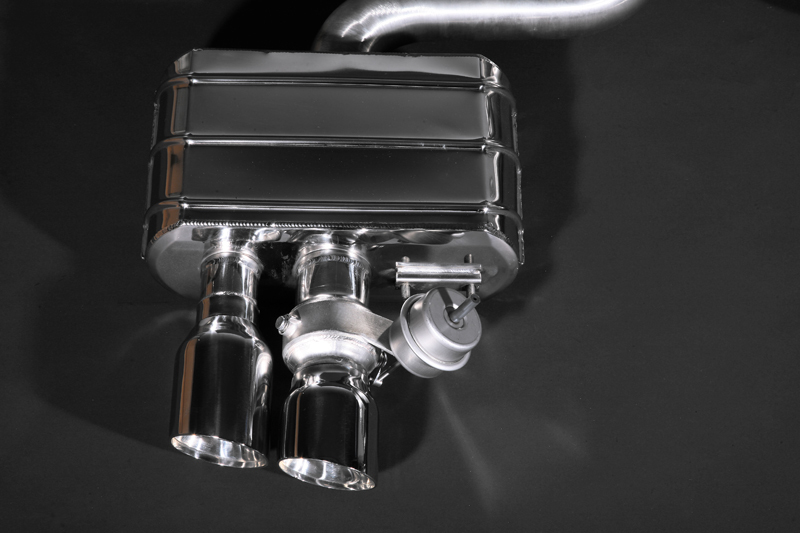 The opening or closing of the valves are controlled by the ECU, therefore working in the same way that the original exhaust was designed to function. An optional remote control is available that enables you to open the valves at the touch of a button. Please select below.